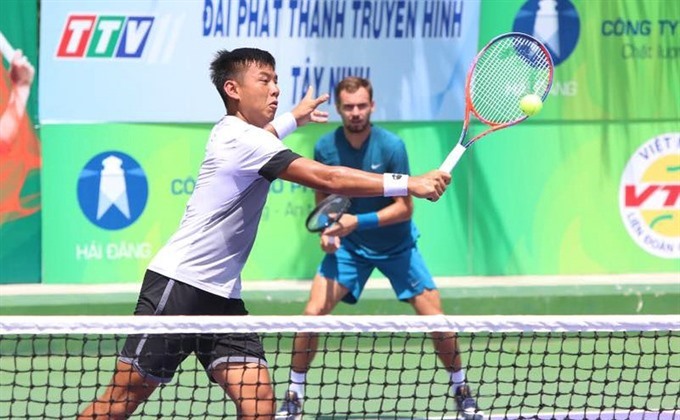 HÀ NỘI — Vietnamese tennis star Lý Hoàng Nam reached the quarter-finals of men’s doubles of the Việt Nam F5 Futures – Hải Đăng Cup 2018 in the southern province of Tây Ninh on Wednesday. Nam and his partner Roman Safiullin of Russia are the No 4 seeds. They beat Karl Friberg of Sweden and Lukas Ollert of Germany 6-2, 6-4 after 55 minutes. Safiullin is world No 295, while Nam is No 426. Nam and his partner will meet Paul Oosterbaan and Samuel Shropshire of the US in the next period.